UpFront with NGS: Your Ancestors Stories - Nat'l Gen. Soc & Terry Koch-Bostic -- TONIGHT 9PM! Your Ancestors Stories - Nat'l Gen. Soc & Terry Koch-Bostic -- TONIGHT 9PM! Catch Terry Koch-Bostic, a Director and the Marketing Chair on the NGS Board of Directors, as she talks with Jane Wilcox on the Forget Me Not Hour (Radio Program) tonight at 9PM EST. 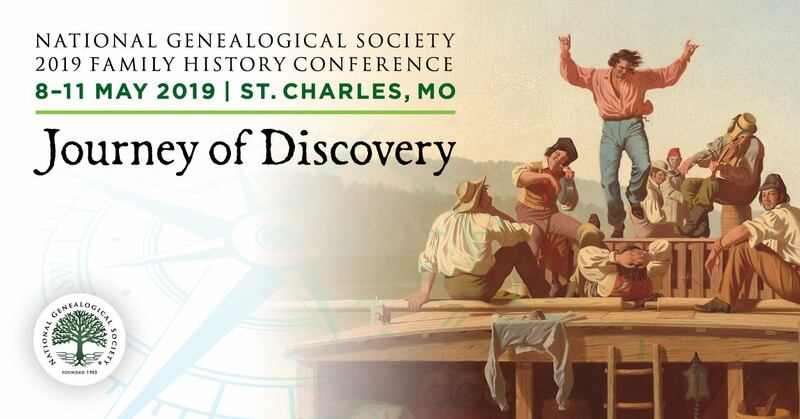 If you missed the National Genealogical Society's annual conference in Cincinnati, this is the show to hear. Even if you were there, this is the show to hear since you couldn't be everywhere at once. Terry Koch-Bostic, a Director and the Marketing Chair on the NGS Board of Directors, joins Jane tonight to share highlights from the four-day conference. What speakers wowed their audiences? What did participants see at the Underground Railroad Museum in Cincinnati? What new technology was introduced? Find out here. So, whether you were at the recently concluded NGS 2012 Family History Conference or not, you’ll want to listen tonight to get the scoop!